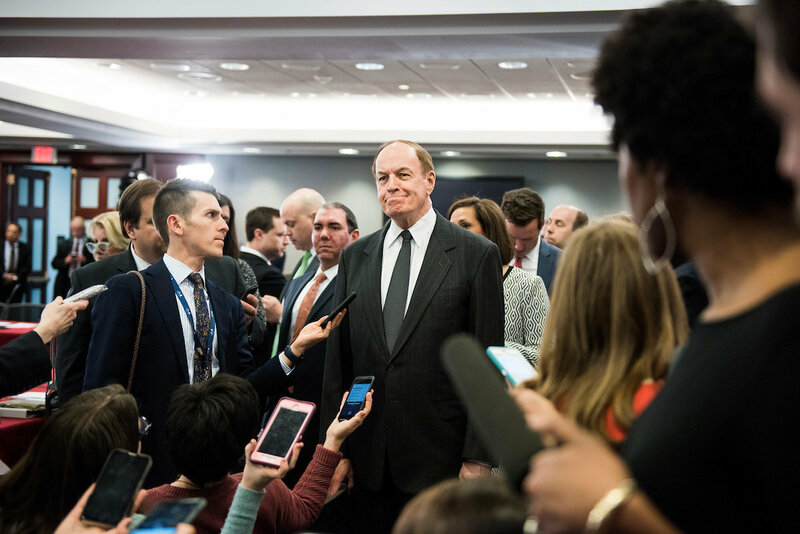 Alabama Republican Senator Richard Shelby shares remarks following Trump’s government-shutdown-delayed 2019 SOTU. 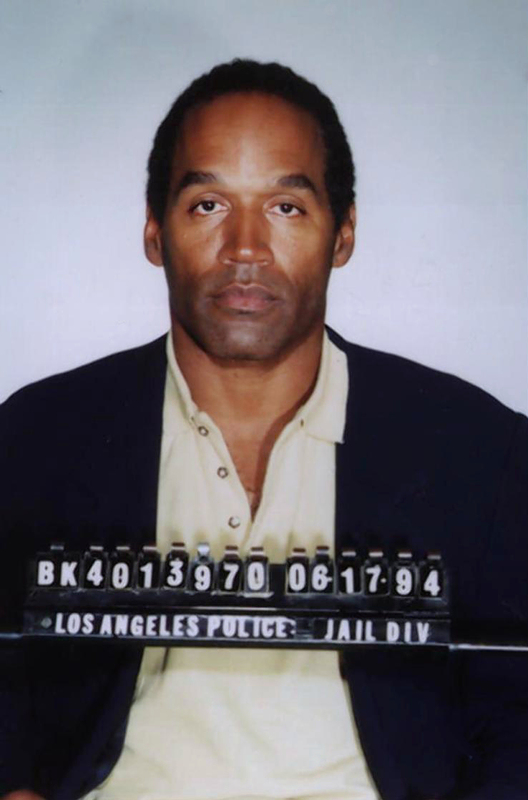 “I thought it was OK; I thought he was not incendiary. We’ve heard it before. I haven’t heard anything new tonight. The president is always going to talk about a wall. We call it a barrier, a fence, a whatever. But we’ll see what happens. He was referring to House Appropriations Chairwoman Representative Nita M. Lowey, D-NY17. Trumpanzee’s words and thoughts were rambling, disjointed, had no cogent or coherent unifying message, and in context, was delivered amidst a background of opposition from within, and without the GOP, and by Independent voters. He’s DEFINITELY NOT an orator of any kind, and his messages, no matter their subject, are rarely convincing. 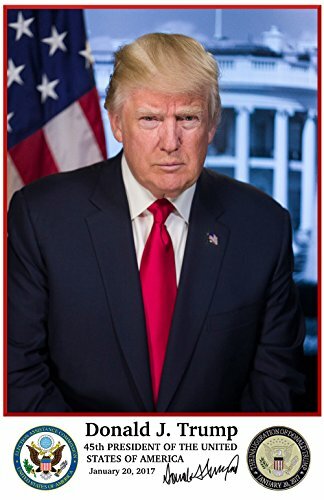 His penchant to lie and distort the truth, has not served him nor the American people well, and practically everything he says – regardless the topic – is suspect. He is specious, vacuous, and inflammatory – NOT the hallmark of a diplomat, nor of a seasoned senior executive. 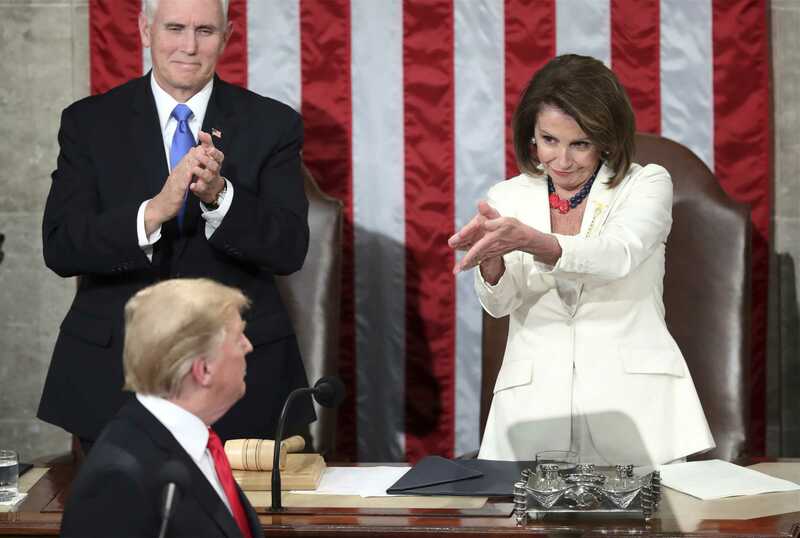 President Donald Trump turns to Speaker of the House, Representative Nancy Pelosi D-CA12, as he delivers his State Of The Union address to a joint session of Congress on Capitol Hill in Washington, as Vice President Mike Pence watches, Tuesday, Feburary 5, 2019. However, to his only meager credit, he did mention that the Congress passed, and that he signed the “Right To Try Act,” which physicians and others say will do little to help patients, because mechanisms have long been in place to do precisely that, by and through the Clinical Trials system for medications. When he mentioned open prices for medical and healthcare procedures, he showed his utter ignorance and contradiction, because the PPACA, aka “ObamaCare,” does precisely that through Physician Sunshine Laws, and other measures to encourage openness and competition among healthcare entities like hospitals and clinics. And so, when he boasted about destroying the ACA (Affordable Care Act), he never mentioned the numerous outstanding and wonderful things it has already done. He and the GOP (in large part), simply pick away at it like a little boy continuously picking his nose, and then wondering why it bleeds. 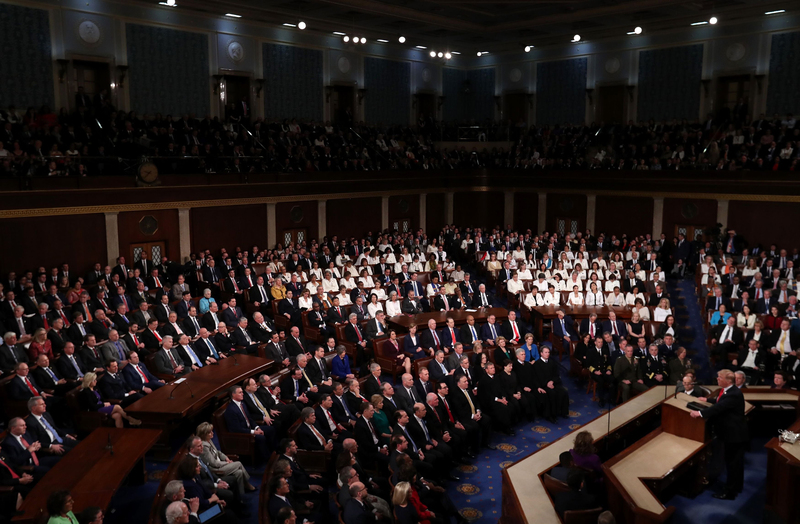 Newly elected Democratic women symbolically wear suffrage white as President Donald Trump delivers his second State of the Union address to a joint session of the U.S. Congress in the House Chamber of the U.S. Capitol on Capitol Hill in Washington, U.S. February 5, 2019. No one said anything to Trump about his askew tie before he spoke, which symbolically was much like the moral of “The Emperor’s New Clothes” fable. And then, he simply couldn’t help himself, and departed from his prepared remarks by saying “They do bad, bad things,” in unsubstantiated accusation of Iran, claiming they’re state sponsors of terrorism, which all of our nation’s intelligence chiefs have testified before Congress under oath, and said is blatantly false. His phraseology sounds much like something one would say to a 3-year-old child, not a group of adults. Of course about it all, I share the same opinion as late, former POTUS Theodore Roosevelt who, after his presidency wrote a regularly appearing column for the Kansas City Star newspaper. 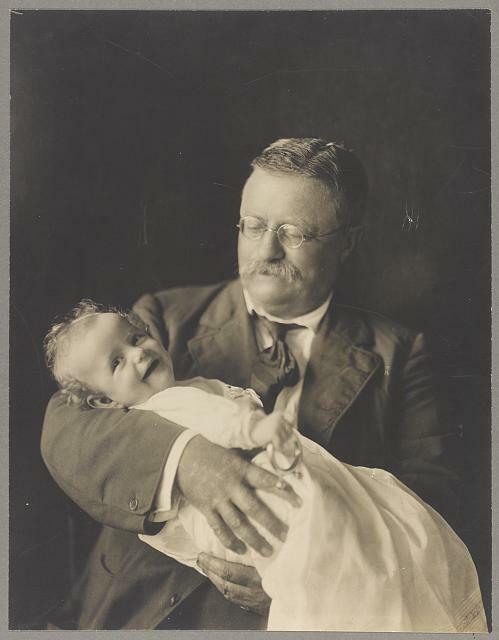 Former POTUS Theodore Roosevelt (1858-1919) and grandson Kermit “Kim” Roosevelt, Jr. (1916-2000), c.1916 September 26. 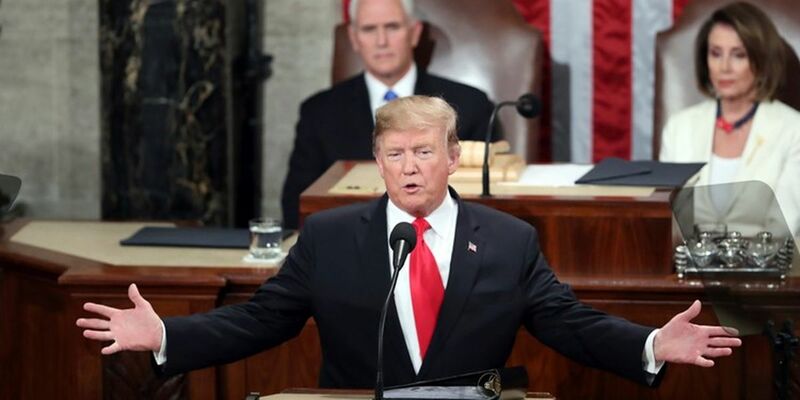 This entry was posted on Wednesday, February 6, 2019 at 1:24 PM	and is filed under - Did they REALLY say that?, - Politics... that "dirty" little "game" that first begins in the home., - Read 'em and weep: The Daily News. Tagged: clap back, GOP, history, Mike Pence, Op-Ed, Pelosi, politics, POS45, POTUS, SOTU, Speaker of the House, Teddy Roosevelt, Trump, VP. You can follow any responses to this entry through the RSS 2.0 feed. You can leave a response, or trackback from your own site.